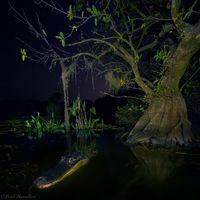 An alligator inspects the noise made while camping near a remote lake in Big Cypress National Preserve. 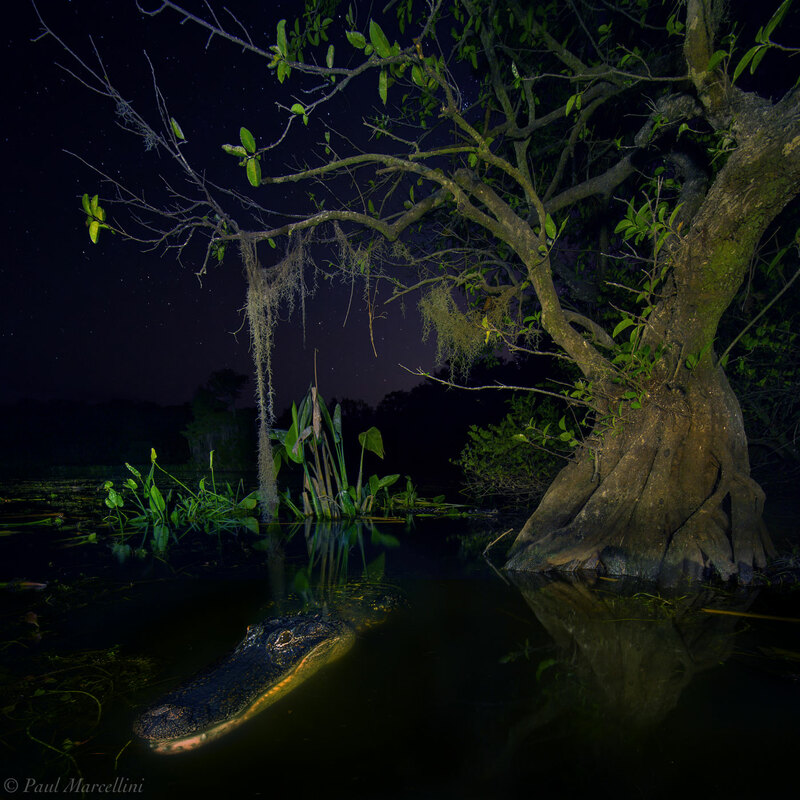 This image won the 2013 Wildlife Image of the Year for Nature Photographers Network. Photo © copyright by Paul Marcellini.